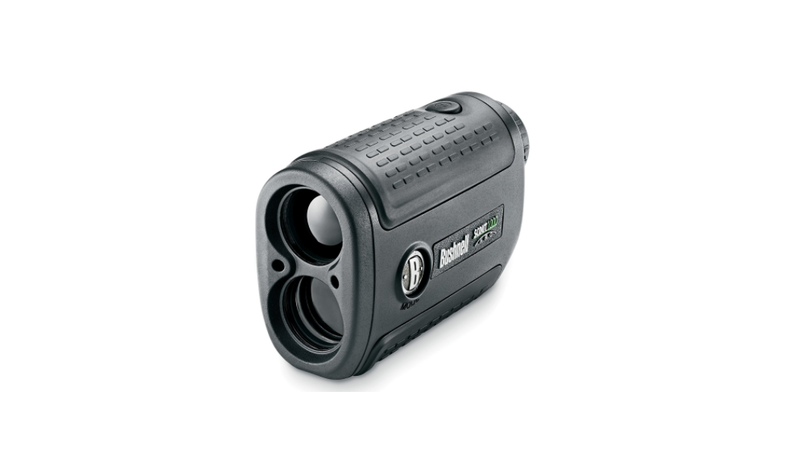 Longtime fans of the Bushnell range should be very familiar with their Scout 1000 ARC model, which was in its time one of the best rangefinders from this manufacturer. 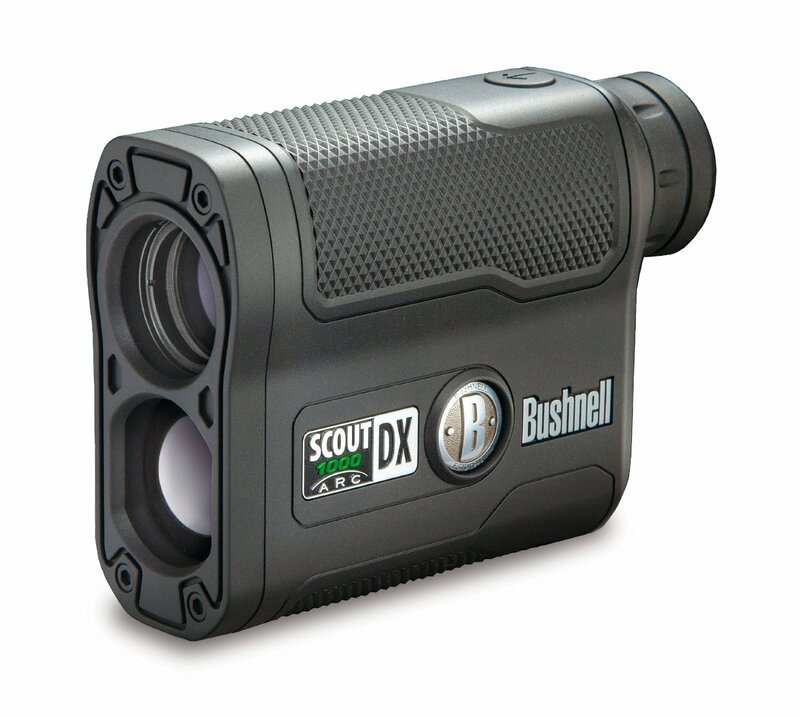 As is obvious from the name of the Bushnell Scout DX 1000 ARC, this model is an upgrade and a very impressive one at that. 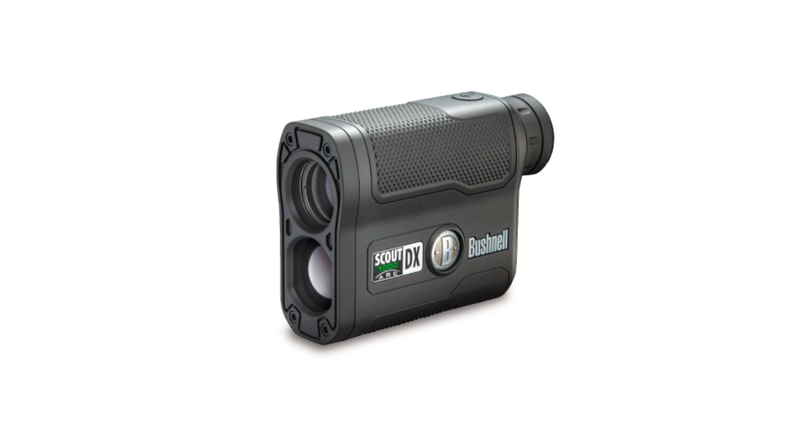 While the addition of a “DX” to the name implies a couple of upgrades features this laser rangefinder actually packs a whole bunch of new improvements over its predecessor. Whether you are in the market for a high quality, but affordably rangefinder or curious if it’s time for an upgrade, read on to find out more about what we think of the Scout DX 1000. Bushnell has been in the business long enough to know what makes for a successful rangefinder design and the Scout DX 1000 is no exception. It is a sleek and compact piece of equipment that shares a resemblance to the high-end G-Force 13000 series from the same manufacturer, but with a durable plastic housing instead of metal. In addition the Scout DX has rubber armoring which means it is able to provide a comfortable and sure grip even when things get wet. In fact, the Scout is fully water as well as fog proof which is a huge advantage out in the field. The Scout DX 1000 is pocket sized and has a very thin vertical configuration that makes it easy to operate using only one hand. Despite all the features packed in its compact housing the Scout is also a very light 8-ounce rangefinder and wont’ feel like dead weight on longer hunting trips or hikes. The Scout is available with the Bushnell Realtree XTRA camo pattern or in plain black. For added convenience the Scout DX also has a threaded tripod mount that is molded into the bottom of the rangefinder. 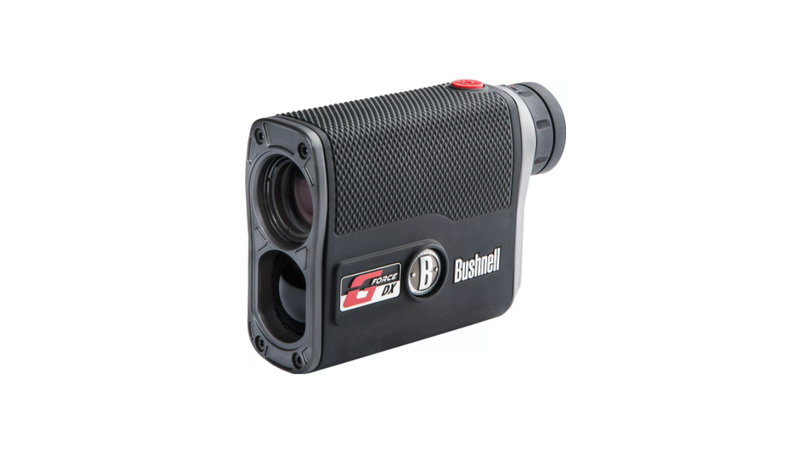 This is very useful for anyone that requires more stability or plan on using the rangefinder for extended periods. To prevent you from losing your battery out in the field the Scout DX has a posi-thread battery door. It uses a single 3-volt CR2 battery to operate and the battery life is fairly decent considering all the features this rangefinder packs. To operate the Scout DX you have to press the power button once which activates the display. Pressing and holding down the power button again while aiming at your target then displays the range reading. You can release the power button once the range is acquired and it will be displayed for 30 seconds or until you range a new target, whichever comes first. In addition to the power button there is a “Mode” button to cycle through the different modes which we will discuss in the features section. The Scout DX boasts a range of five to 1000 yards with 6x magnification, but obviously real-world numbers are going to differ. Unless an object is very large and reflective you are more likely to achieve a maximum range of about 650 yards. The ranging accuracy of the Scout DX is very good though and is about plus or minus one yard depending on circumstances. When looking at the LCD of the rangefinder you will see a range of symbols and numbers indicating features such as angle range compensation, targeting, battery life and more, so it is recommended that you study the manual to familiarize yourself with what they all mean to avoid confusion out in the field. Bow hunters will love that the Scout DX features a built-in accelerometer-based inclinometer for displaying the exact angle when shooting up or downhill. You can switch between bow and rifle mode for the angle range compensation and of course choose whether to range in yards or meters. For even more convenience the Scout DX features different targeting modes in addition to the standard mode. The “BullsEye” mode is great for ranging smaller targets while “Brush” mode allows for background objects to be ranged while tree branches and brush are ignored. In the setup menu of the rangefinder you can choose between two angle range compensation modes and one regular mode. Overall the Scout DX is feature packed and has everything a rifle or bow hunter needs out in the field to get accurate readings. If there is one aspect of the Scout DX that is slightly disappointing it’s that it uses the same black LCD display as its predecessor instead of the newer Vivid Display Technology. Considering the reputation of the original Scout I was expecting good things from the Scout DX and I have to say that I wasn’t disappointed. It has a ton of features and plenty to like with only its performance in low light conditions counting against it. Take a look at the list of pros and cons below to see for yourself what it has to offer. Overall the Bushnell Scout DX 1000 is a very worthy and surprisingly affordable successor to the original Bushnell Scout. It has just about everything you need for either rifle or bow hunting and packs it all into one very compact design. In addition to an increase in magnification and field of view the Scout DX is faster, more accurate and more feature rich than its predecessor. For its price and what it has to offer the Scout DX 1000 comes highly recommended, but if you are willing to spend a bit more there are better options, such as the G-Force 1300 available.